Copyright infringement is against the law. Never use other’s creation without their expressed written permission or without the purchase of rights to that material. The penalty for this violation is up to $150,000. 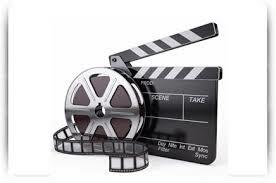 Anyone appearing on camera should sign a release before filming begins. Better to have it and not need it, than to need it and not have it. A release gives you permission to use the likeness of a person both commercially and non-commercially. Also, a release protects you against legal issues. No release is needed if a subject is part of a crowd recorded in a public place, as long as the person is not a focus of the video. When recording at a private home or facility, you should get a location release. Generally, you have the right to video at or from public places such as public streets, parks, and public events. To stay on the legal side of things, use only music, images, and sound that you have verifiable or written permission to use. For example, use public domain music, create your own music and images, or purchase stock images. Never use proprietary audio or images without the expressed consent of the owner. U.S. law no longer requires the use of Copyright notice. However, it can be beneficial to your work and does not require registration or permission from the U.S. Copyright office. Copyright notice should include copyright owner and first year of publication. To register your work, visit the U.S. Copyright Office for in-depth instruction. The process is fairly simple and low-cost.